Posted on March 18th, 2016 by Jacob. We love a bit of nineties nostalgia at Visualised it, and one programme that embodied the late nineties was ‘Robot Wars’, each week people from all walks of life would bring homemade robots to the arena, to do battle with others and the show’s own band of House Robots, one left with glory, the rest left in bin bags! 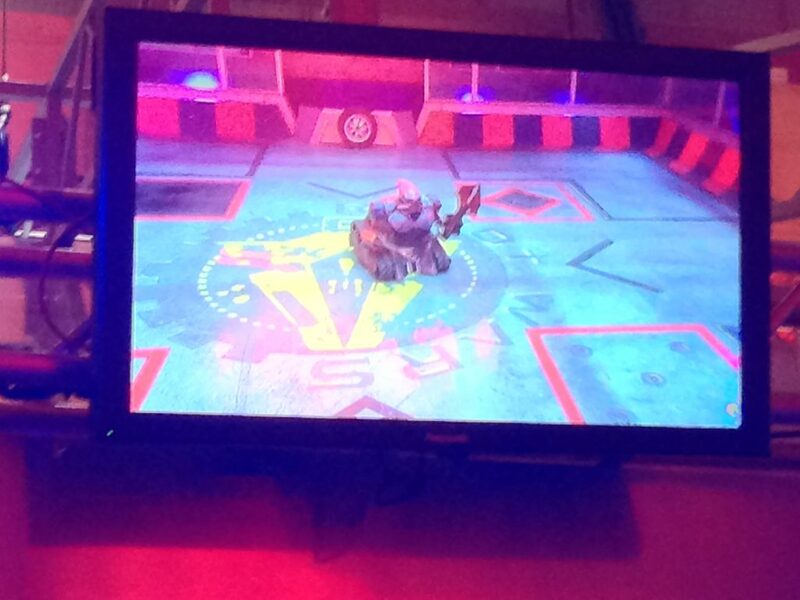 After seven series, and channel hopping from BBC Two to Channel 5, the TV series was cancelled, although the sport of robot combat continued at live events. 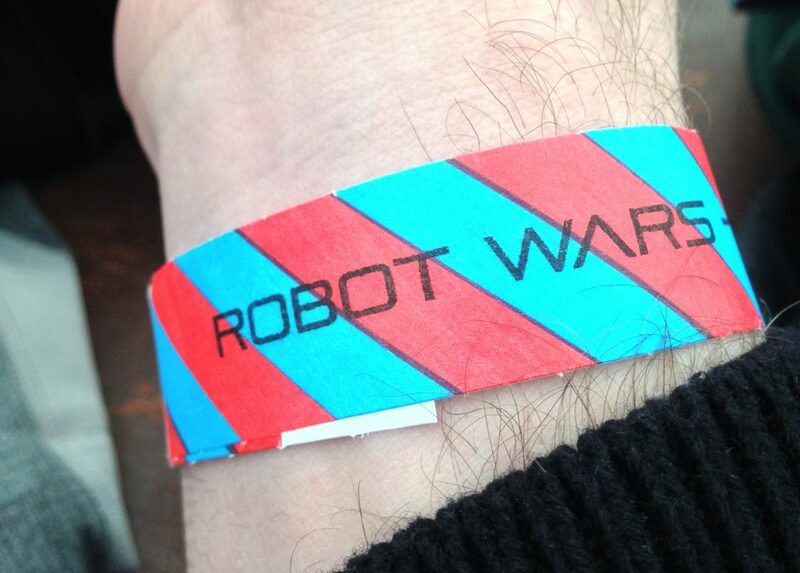 However, earlier this year the BBC announced that the cult classic would be rebooted with six new episodes airing later in 2016, and in an instant our editor and Robot Wars fanatic Jacob, got himself a ticket to one of the recordings of the new series in Glasgow! 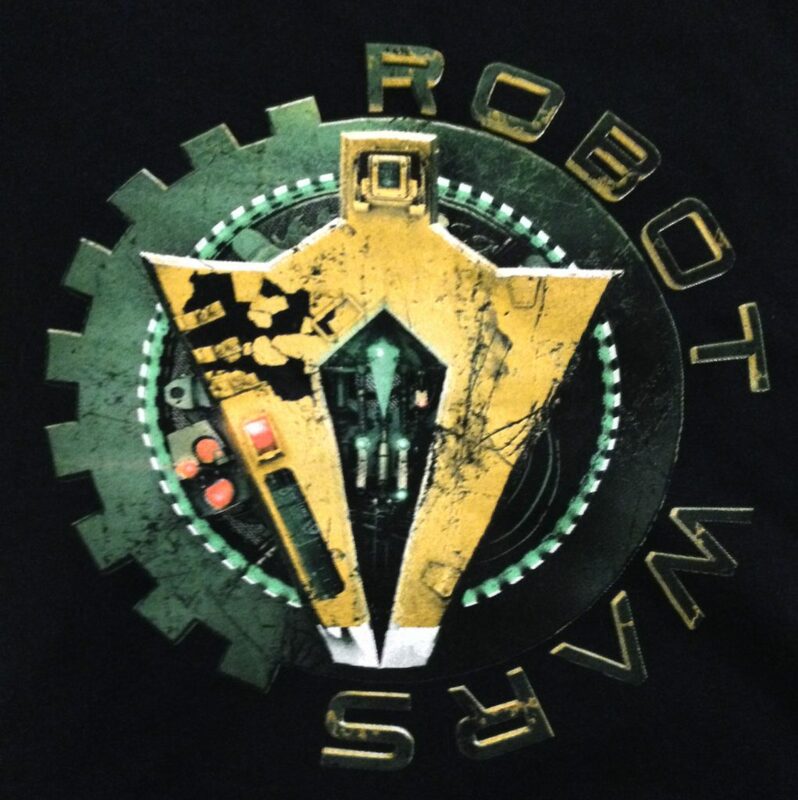 Four of the original house robots are returning to cause chaos in the warzone: Shunt, a bulldozer-type machine with a diamond edged axe. Matilda, a monstrous beast of a robot with her lifting tusks and a flywheel. Dead Metal, a robotic scorpion monster with pincers and a cutting blade. And finally Sir Killalot, a dark knight of the robotic realm with a drilling lance and deadly pincers. All four of them looked like they’ve been pumped full of robo-roids and are truly frightening! Although we feel sorry for Sgt Bash, the flame-throwing house robot who seems to have been left out. Maybe he was unfit for duty? A new team of presenters have joined the programme in the form of comedic sciency man and Mock the Week host Dara O’ Briain, and an up and coming Irish presenter; Angela Scanlon, from what we saw, these two were very funny, enthusiastic and fit their roles perfectly. Unseen at the recording, but confirmed as returning, is motormouth football commentator Jonathan Pearce, who commentated all seven of the original seriesÂ and we can’t wait to hear him when the programme airs. The arena has received an upgrade and a new visual style, with familiar hazards like the pit, flame pit and floor flipper returning, as for the robots themselves, we can’t say too much (or BBC spies will hunt us down!) but a healthy combination of newcomers and old favourites did battle. Watching the recording was interesting as not all is as it appears on the TV, a lot of backstage work goes on on a programme like this and it can take a while to fix something if a robot damages it, or get everything prepared from one fight to the next, a bit like how when we make our videos a lot happens behind the camera and doesn’t get on the screen. 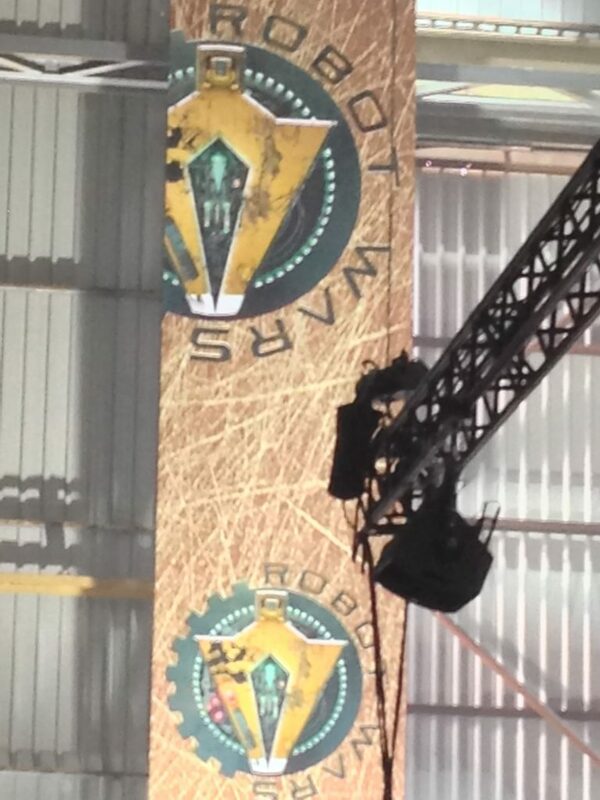 Needless to say, we can’t wait for Robot Wars to come back so we can cheer for our favourites like it’s the year 2000 again!